The AS220 Youth Live Arts program offers a variety of weekly classes in performance, music, and dance. 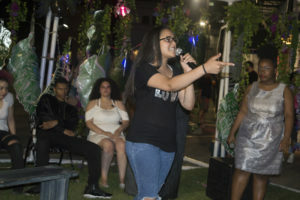 Students are encouraged to record personal projects, perform at AS220 Youth Mic Madness (open mic) and coordinate their own music-related events. At AS220 Youth, students can produce, record, perform and sell their music all under one roof. We are a one-stop shop for aspiring musicians and entrepreneurs! 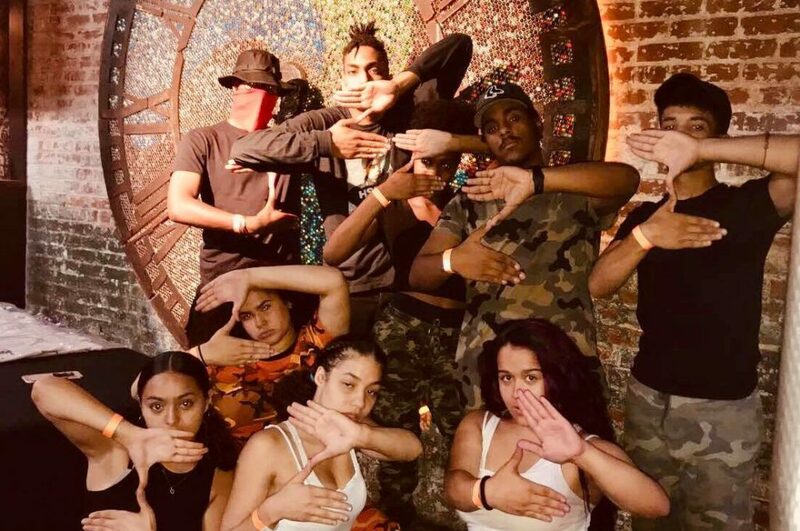 For students who are invested in taking their music to a professional level, they can audition for the Zukrewe: AS220’s youth-led performance troupe. Members of the Zukrewe work collaboratively to create theme-based albums and perform all over New England. Recently, they have performed at PVD Fest, Foo Fest and Fete Music Hall. 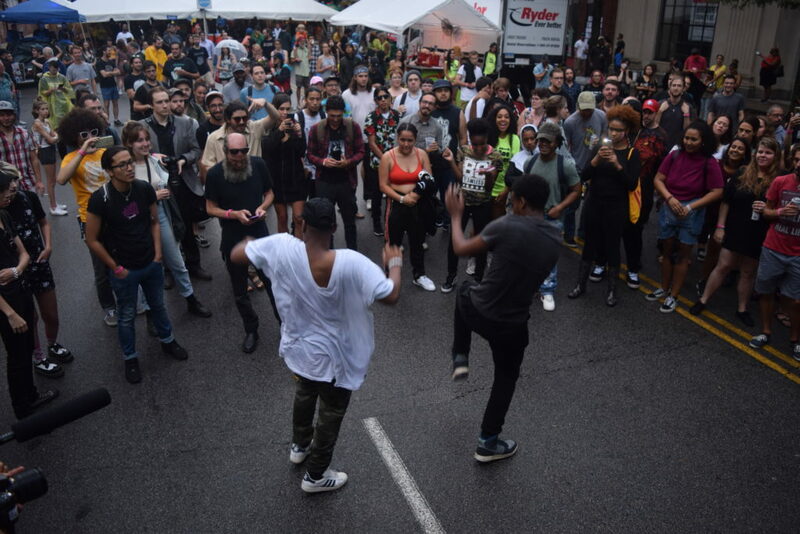 The AS220 Youth Live Arts program has a major focus on Hip Hop. Over 99% of the students who attend AS220 Youth say that they identify with Hip Hop culture including the elements, dress, language, values, history and of course, the music. Through Hip Hop, we explore various musical genres, histories, and social justice themes. Some of our popular classes include: Hip Hop Dance, Songwriting, Spoken Word and more. 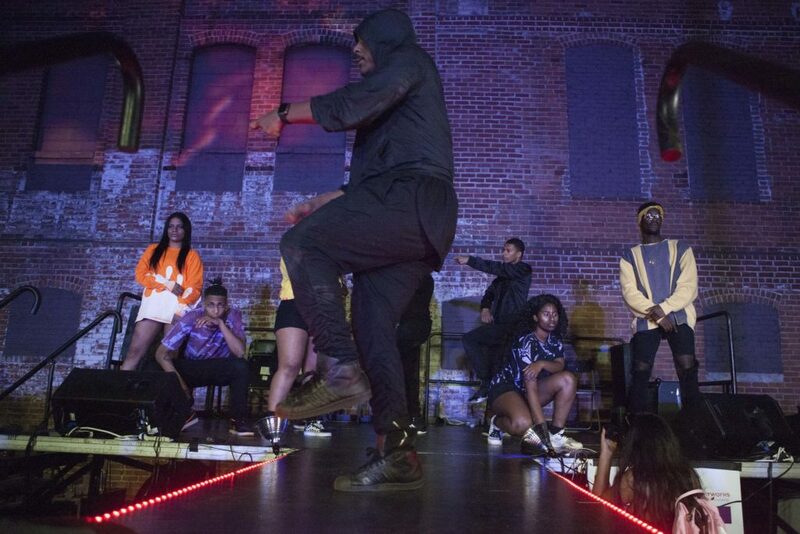 The Dance program at AS220 Youth is centered around Hip Hop classes. Students are able to explore other styles, as well. Dance Apprentices create original choreography as part of the Zukrewe and perform at events throughout the state. Music at AS220 Youth supports youth at a variety of levels, from those learning songwriting fundamentals to those who are ready to record a full mixtape. AS220 Youth provides help with vocals, beatmaking and live band, as well. After perfecting a song, youth can get support in recording on site in the Delgado Studio. Music Apprentices work toward creating a full length Zukrewe album and soundtrack for Futureworlds. 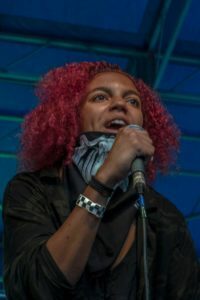 They also perform original tracks at events around the state. Performing Arts at AS220 Youth coordinates scripts and performers from our Live Arts program to create our annual event FUTUREWORLDS. The program’s class offerings include Spoken Word, Acting and Improv. Become a member of AS220 Youth!